What is Graphene and what makes is it so special? As Prof. Mikael Fogelström from university of Chalmers mentioned in one of his interesting talks, new technology always coincides with the introduction of new materials. If you look back in history, you can see the simplest examples such as Stone Age, Bronze Age, and Iron Age. As you can see, each age is labeled by the material that was used in that age. Every new material was better than the one before and also made life simpler for people. This is the way that has been in our society so far. Here in this post, I want to introduce you a new wonder material. Actually it is not that new. It has been around all the time and you already know it. You have been playing with it since you started to use a pencil. This wonder material is called Graphene. Graphene is from pure carbon. Graphite is another structure of carbon. If you separate out just one atomic layer of graphite then you can make Graphene. 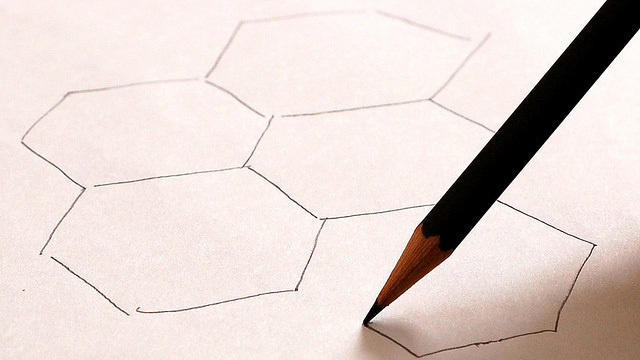 In Graphene carbon atoms are bonded together in hexagonal honeycomb lattice structure. Graphene was discovered in 2004 by two researchers at University of Manchester, Prof Andre Geim and Prof Kostya Novoselov. This is when the story started and finally they received the Nobel Prize in Physics for their stunning scientific discovery. Graphene is extremely thin. What do I mean by thin? I mean just one atom thin. This amazing material is atomically thin but still stable in the ambient. It is the strongest material that has been seen so far. Whilst being the strongest, it is also flexible and transparent. You probably ask yourself now: how strong is it really? Here’s an example: imagine that you have a hammock made out of just one layer of Graphene, you can put a baby to rest in it without breaking it. Another amazing property about graphene is that it has width and length but no height. That is why we call it 2 dimensional (2D) material. You can put any kind of material on top of it, but it won’t let them go through. It is also extremely light. 1 m2 Graphene sheet is around ~ 0.77 milligrams. According to Prof. Mikael Fogelström, roughly 10 grams of Graphene can cover three football fields. He also made a calculation that shows, with 15 kg of graphene you can cover all the displays around the words. It means you can carry the world’s Graphene production in just one small suitcase. On top of all this amazing properties, it is the best heat and electricity conductive material. With all of these super properties, one can make lots of interesting things out of graphene. As I mentioned before, Graphene is from carbon. I might surprise you by saying that carbon is the 4th most common element in the universe (by mass) after hydrogen, helium and oxygen. It is also the second most abundant mass of our body. These make Graphene an ecologically friendly, and a perfect candidate for an almost limitless number of applications.